Hooks employed in hot dip galvanizing plants are designed on purpose: they are specifically designed to perfectly match with the universal rack, in total safety and so to avoid dangers otherwise caused by the instability of ordinary commercial hooks. In any case, Gimeco’s hooks are also equipped with additional safety systems such as sensors that will block movements when the hook is not perfectly stable. Our hooks “know” when the rack is correctly hooked, and only then they “approve” movements. 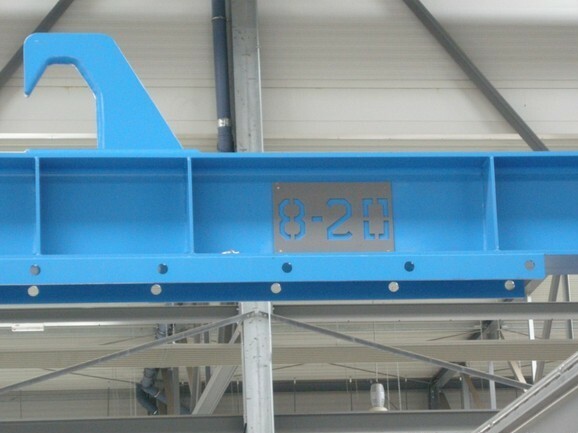 The hook’s profile is fundamental to allow the system to work automatically, so that the operator can work without worrying about single steps of the process. Gimeco’s hooks comply with all safety standards and are CE marked. Gimeco’s quality and reliability are told by the small details: build your plant with Gimeco, because details make the difference!